☆ High temperature copper wire, increase 20% service life. ☆ NSK and C&U bearings, smooth and efficient operation, no noise, increase the service life. ● OEM Part Number. CROSS REFERENCE NUMBER. ● Fit for the following types. Starter Motor. Hydraulic Motor For Danfoss OMP. Hydraulic Motor For Danfoss OMR. Hydraulic Motor For Danfoss OMS. ● Fit for the following types. 1996 - 2007. 2477cc, 4cyl, 133HP. 2001 - 2007. Land Rover part number:AMR5425. 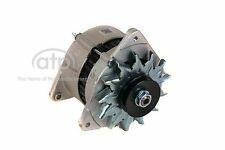 LANDROVER DISCOVERY AND DEFENDER 300TDI ALTERNATOR. DISCOVERY 300TDI. DEFENDER 300TDI. THIS ALTERNATOR IS AN 100AMP. Lucas - LRA100. Engine Sizes - 1000 & 1275cc Petrol engines. Output - 50A. Product - Alternator. Pulley Type - Single V. Warranty - 12 Months 'No Quibble'. ALM Electrical Solutions is the UK's premier supplier of auto electrical parts and products. 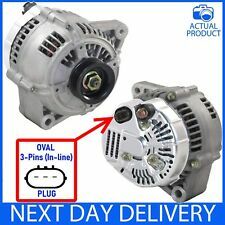 (NEW OEM SPECIFICATION ALTERNATOR. Most applications will have more than one option for an Alternator or Starter Motor. ii) That you have compared the old Part with the Photos provided to ensure they are identical. TOYOTA Avensis 2.0 D-4D 2003-2008 1995ccm 1CD-FTV. TOYOTA Corolla Verso 2.0 D-4D 2001-2005 1995ccm 1CD-FTV. TOYOTA Corolla 2.0 D-4D 2002-2004 1995ccm 1CD-FTV. NEW OEM SPECIFICATION ALTERNATOR. TOYOTA Combivan 2.0 D-4D 2002-2004 1995ccm 1CD-FTV. (Viano 2.2 CDI. Vito 109 2.2 CDI. Vito 111 2.2 CDI. Vito 115 2.2 CDI. NEW OEM SPECIFICATION ALTERNATOR. Most applications will have more than one option for an Alternator or Starter Motor. ii) That you have compared the old Part with the Photos provided to ensure they are identical. (Grand Vitara I 2.0 HDI. NEW OEM SPECIFICATION ALTERNATOR. Most applications will have more than one option for an Alternator or Starter Motor. ii) That you have compared the old Part with the Photos provided to ensure they are identical. Peugeot - 57056W. Product - Alternator. Warranty Type 12 Months No Quibble. The compatibility checker doesn't always recognise this! Pulley Type - Multi-Rib. Still not sure?. Condition - New & Boxed. Product - Alternator & Vacuum Pump. Still not sure?. ALM Part Ref - ALT388. The compatibility checker doesn't always recognise this! Sovereign - SA035. Remy - DRA3474. Valeo - 437706. Rollco - ALT388. NEW OEM SPECIFICATION ALTERNATOR. Most applications will have more than one option for an Alternator or Starter Motor. This Part has been thoroughly inspected and tested by our experienced technicians using advanced bench test system before dispatch. 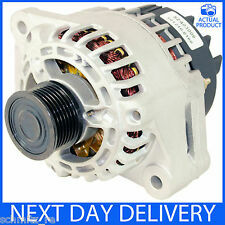 This Alternator is supported with 12 months no quibble warranty . Collection in Person Wholesaler of Highest Quality OE Spec Rotating Electrics. Fully-tested & Quality Checked by Engineer before dispatch. (OEM SPECIFICATION ALTERNATOR. Most applications will have more than one option for an Alternator or Starter Motor. ii) That you have compared the old Part with the Photos provided to ensure they are identical. FORD Focus I 1.8 TDDi 1998-2005 1753ccm BHDA BHDB C9DA C9DB C9DC. FORD Focus I 1.8 TDCi 2001-2007 1753ccm FFDA F9DB F9DA. Most applications will have more than one option for an Alternator or Starter Motor. Boxer 2.0 HDi. Boxer 2.2 HDi. Genuine Alternator . TWO OPTIONS AVAILABLE! 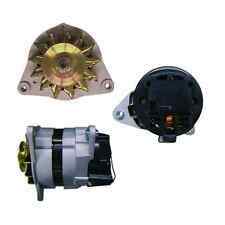 This Alternator is supported with 12 months no quibble warranty . Fully-tested & Quality Checked by Engineer before dispatch. (Cherokee I 2.5. Cherokee I 4.0. 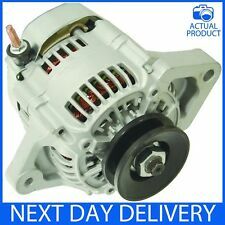 NEW OEM SPECIFICATION ALTERNATOR. Grand Cherokee I 4.0. Most applications will have more than one option for an Alternator or Starter Motor. ii) That you have compared the old Part with the Photos provided to ensure they are identical. C5 MKI 2.0 HDi. C5 MKII 1.6 HDi. C5 MKII 2.2 HDi. C5 MKIII 2.2 HDi. Genuine Alternator . 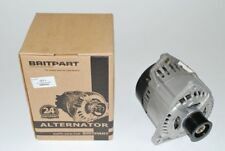 This Alternator is supported with 12 months no quibble warranty . ONE OR MORE OF THE FOLLOWING NUMBERS. Collection in Person. Supra 3.0i. Genuine Alternator . This Alternator is supported with 12 months no quibble warranty . Fully-tested & Quality Checked by Engineer before dispatch. MULTIPLE OPTIONS FITTED TO THIS VEHICLE: DO NOT BUY WITHOUT CROSS-CHECKING PART NUMBER ON OLD UNIT AND ALSO COMPARE WITH PHOTO. Fits VW VOLKSWAGEN New Beetle 1.6, 1.8, 2.0 9C, 1Y Years: 1999, 2000, 2001, 2002, 2003, 2004, 2005, 2006. VW Golf Mark 4, 1.6, 1.6 FSI, 1.8, 4-Motion, 2.0, 2.3, 2.8 3.2 R32. Golf IV 1.6. Golf IV 1.6 FSI. FOR RIGHT HAND VERSION SEARCH FOR: BAO3001. Replaces Part Number(s). 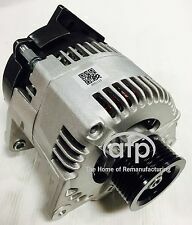 UNIT IS 55AMP OUTPUT (a higher output than the standard ACR alternators at 36AMP),SUPPLIED WITH STANDARD V PULLEY AND FAN,HAS STANDARD 3 SPADE LUCAS CONNECTION ON THE BACK. FORD Consul 2.0/ OHC 1998ccm 1972-1975. Most applications will have more than one option for an Alternator or Starter Motor. 12 Months - No Quibble Warranty! Parts fitted to incorrect Applications or fitted in place of incompatible Part-numbers (OEM reference) will VOID THE WARRANTY. 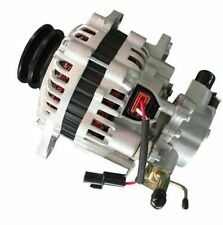 THIS IS SUITABLE FOR ALL CARS THAT HAVE BEEN CONVERTED TO RUN A LUCAS ACR ALTERNATOR OR ALREADY HAVE ONE FITTED ORIGINALLY. 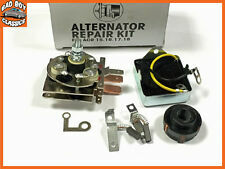 THIS KIT WILL REPAIR ALL 15, 16, 17 & 18 ACR ALTERNATORS. INCLUDES EVERYTHING YOU NEED TO REPAIR YOUR OLD LUCAS ALTERNATOR. Engine Sizes - 2.5 TD5 Diesel Engines. 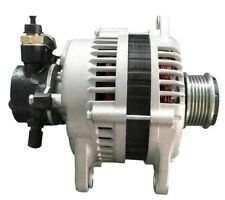 Product - Alternator With Vacuum Pump. Land Rover - ERR6999. ALM Electrical Solutions is the UK's premier supplier of auto electrical parts and products. Not sure if this fits your vehicle?. WILL NOT FIT ASTRA H MK5 MODELS FROM 2004 ONWARDS . OPEL - ASTRA G Hatchback (F48_, F08_) - 1.4 16V. OPEL - ASTRA G Hatchback (F48_, F08_) - 1.6. OPEL - ASTRA G Hatchback (F48_, F08_) - 1.6 16V. Land Cruiser 3.0 TD. REMAN ALTERNATOR. 4-Runner 3.0 TD. Most applications will have more than one option for an Alternator or Starter Motor. Parts fitted to incorrect Applications or fitted in place of incompatible Part-numbers (OEM reference) will VOID THE WARRANTY. Sprinter 209 2.1 CDI. Sprinter 211 2.1 CDI. Sprinter 213 2.1 CDI. Sprinter 215 2.1 CDI. Sprinter 309 2.1 CDI. Sprinter 311 2.1 CDI. Sprinter 509 2.1 CDI. Sprinter 511 2.1 CDI. Complete With Fan & Pulley. Right Hand Fitting (For Left Hand Fitting Search For: BAO3058). MASSEY FERGUSON. All Vaux 1.9 cdti's from 2007/08 were fitted with a different type of Alternator (Bosch Type). Genuine Denso Alternator. 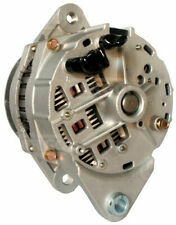 This Alternator is supported with 12 months no quibble warranty. 12 Months No quibble Warranty. C4 Grand Picasso I 1.6 HDi. C4 Grand Picasso I 2.0 HDi. C4 I 1.6 HDi. C4 I 2.0 HDi. C4 Picasso I 1.6 HDi. C4 Picasso I 2.0 HDi. NEW OEM SPECIFICATION ALTERNATOR. Most applications will have more than one option for an Alternator or Starter Motor. Product - Alternator. The compatibility checker doesn't always recognise this! Pulley Type - 5 Ribbed Pulley. Still not sure?. Not sure what you need?. Give one of our trained sales advisors a call and they'll be glad to help you out. Genuine Alternator . 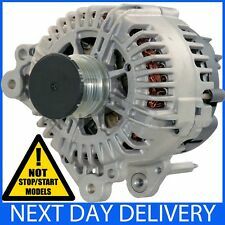 This Alternator is supported with 12 months no quibble warranty . VW VOLKSWAGEN. Fully-tested & Quality Checked by Engineer before dispatch. Golf V 1.4. Golf V Plus 1.4. Golf VI 1.4. VW VOLKSWAGEN Transporter T4 1.9 D 1992-1997 1968ccm 1X. VW VOLKSWAGEN Transporter T4 1.9 TD 1992-1998 1896ccm ABL. VW VOLKSWAGEN Golf III 1.9 D 1991-1997 1896ccm 1Y. VW VOLKSWAGEN Golf III 1.9 TD 1993-1997 1896ccm AAZ. 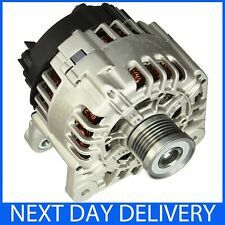 BMW 5 E60 D XD DRIVE TOURING E61 SALOON ESTATE 2003 2005 2006 2007 2008 2009 2010 2011 2012 2013 2014 2015 REMANUFACTURED ALTERNATOR. Engine Code: M47D20 (204D4) 09.05 - 03.10 Saloon 110 150 - 150 1995. VAUXHALL Astra 1.7 TD 1992>1996. VAUXHALL Cavalier 1.7 TD 1992>1995. VAUXHALL Corsa 1.5 D 1993>1996. VAUXHALL Corsa 1.5 TD 1993>1996. VAUXHALL Combo 1.7 D 1993>1996. This alternator is a 70 amp Hitachi type QX reconditioned unit. (Vivaro A 1.9 & 2.5 CDTI. Traffic II 1.9 & 2.5 dCi. NEW OEM SPECIFICATION ALTERNATOR. COMPLETE NEW ALTERNATOR. Most applications will have more than one option for an Alternator or Starter Motor. ii) That you have compared the old Part with the Photos provided to ensure they are identical. 70amp (Also replaces the 55amp). Astra F 1.4i. Astra F 1.6i. Astra F 1.6i 16V. Tigra I 1.4. Tigra I 1.6. Tigra A 1.4 16V. Astra F 1.8. OEM SPECIFICATION ALTERNATOR. Most applications will have more than one option for an Alternator or Starter Motor. 12 Months - No Quibble Warranty! Parts fitted to incorrect Applications or fitted in place of incompatible Part-numbers (OEM reference) will VOID THE WARRANTY. SUPPLIED FITTED WITH STANDARD 6 GROOVE BELT PULLEY. PORSCHE - 911 (996) - 3.4 Carrera. PORSCHE - 911 (996) - 3.4 Carrera 4. PORSCHE - BOXSTER (986) - 2.7. PORSCHE - 911 (996) - 3.6 Carrera. PORSCHE - 911 (996) - 3.6 Carrera 4. HYUNDAI Terracan 2.9 CRDi 2001-2006 2902ccm J3. KIA Carnival II 2.9 CRDi 2001-2006 2902ccm J3. KIA Sedona 2.9 CRDi 2001-2006 2902ccm J3. 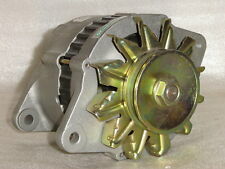 OEM SPECIFICATION ALTERNATOR. Most applications will have more than one option for an Alternator or Starter Motor.